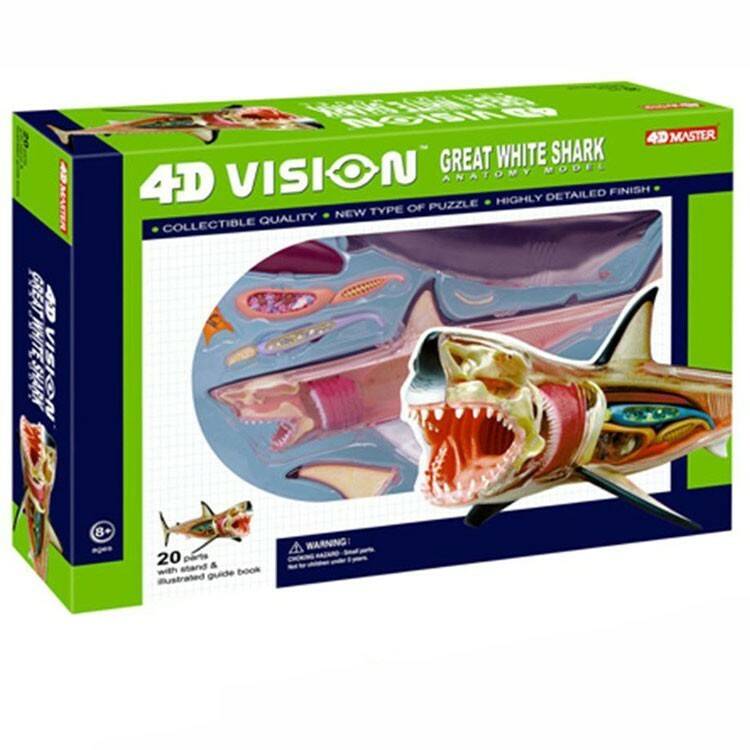 The 4-D Vision Great White Shark Anatomy Model features an inside look into the body of the largest predator of the ocean, Great White Shark. 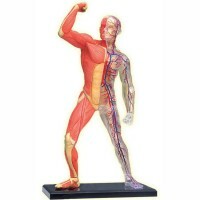 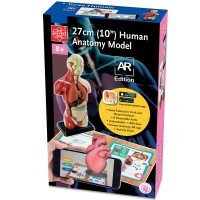 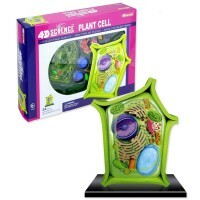 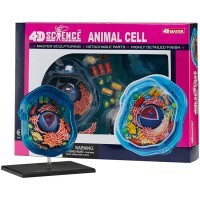 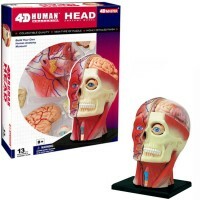 Educational Toys Planet is proud to bring the whole collection of 3D anatomy models with the 4th dimension element - you can also see through the transparent side of these 4D vision modes. 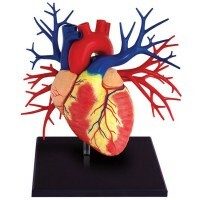 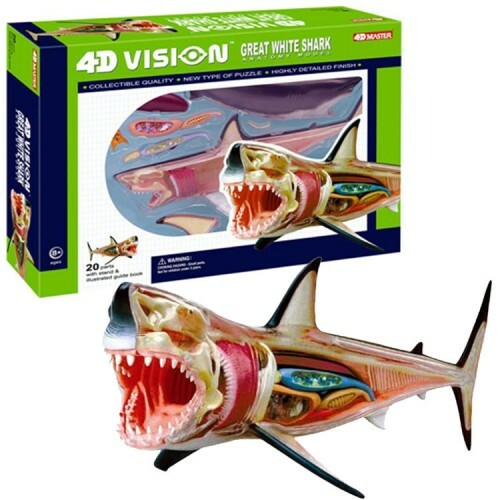 The 4D Vision Great White Shark Anatomy Model features a body of the largest predator of the ocean, Great White Shark. 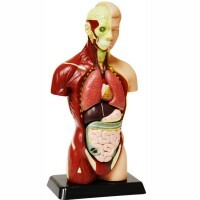 This shark body model comes with 20 fully detachable organ and body parts. 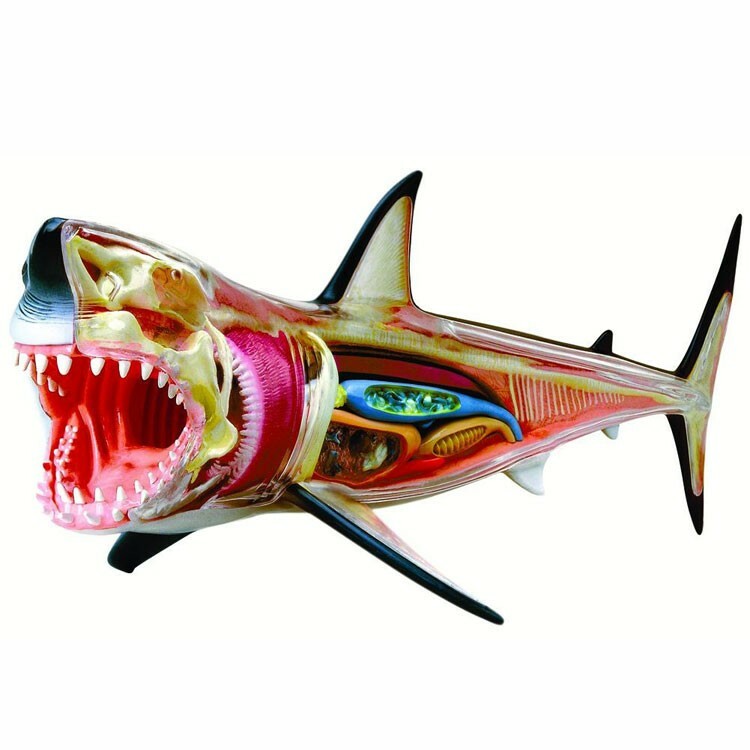 The shark anatomy 3D puzzle has a transparent cutaway to show internal structures. 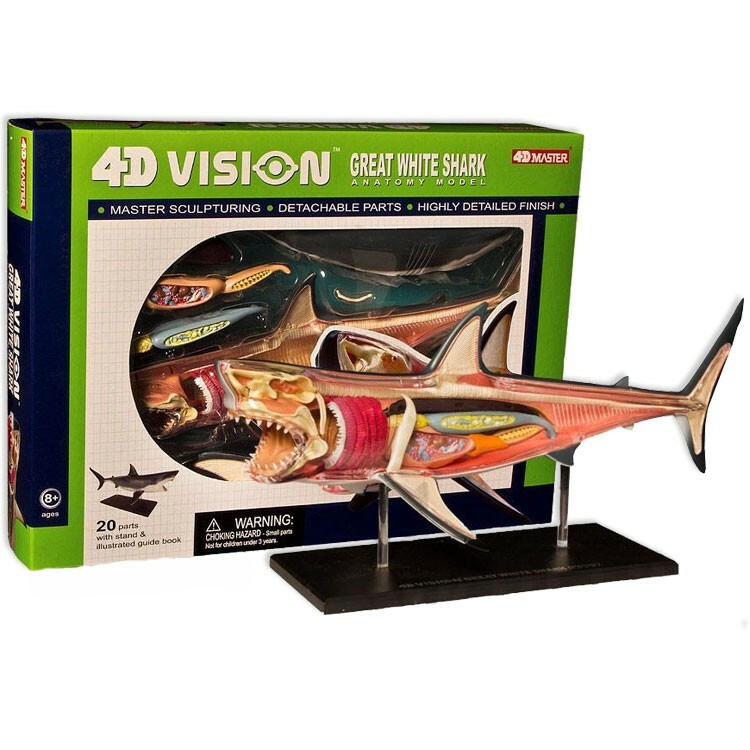 The 4D Vision Great White Shark Anatomy Model also comes with the base to display the assembled shark model. 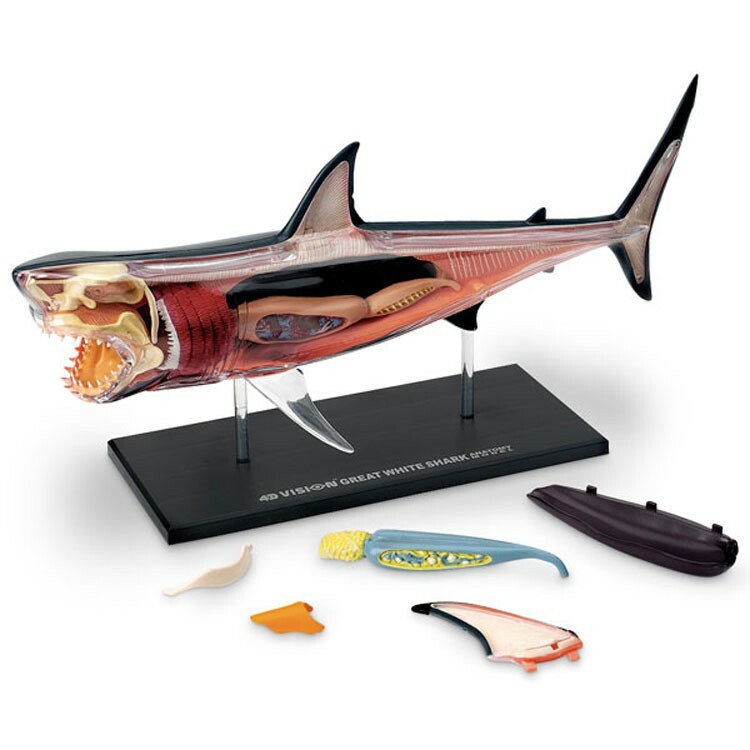 The shark anatomy toy is 13.25 inches long. Write your own review of 4D Vision Great White Shark Anatomy Model. 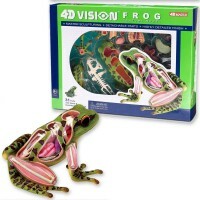 Rating: 5 Accurate and Educational by Carter Just what was needed for class presentation.